Passengers, Sony's new science fiction epic and their big Christmas bet, has had something of a long legacy. Starting life as a Blacklist script by Jon Spaihts (Prometheus), the film was originally set to star Keanu Reeves and Reese Witherspoon before delays saw the two actors leave the project. While that pairing seemed like a good match for the romantic interstellar tale, the project regained heat when Jennifer Lawrence and Chris Pratt signed on to play the leads and Morten Tydlum, hot off his Academy Award winning turn directing The Imitation Game, stepped in for Brian Kirk. I read an early iteration of the Passengers screenplay (it's still online) and was very impressed with how it manages to blend the needs of a high concept romantic comedy with that of a space faring thriller - something this first trailer leads me to believe has remained intact. 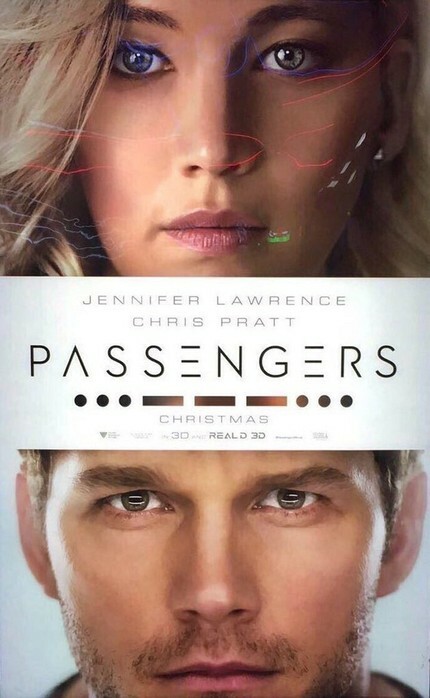 Passengers hits wide release December 21, 2016.